Last time, we discussed the history of Disney's failed urban planning project, Lake Buena Vista. This week, we'll be looking at the newest effort to keep the area relevant, but first, a brief detour into semantics. I'd like to discuss what, exactly, makes a place or thing "authentic" versus an imitation. This subject is central to the very concept of theme parks, but has hardly ever been discussed. It's been invoked by every cultural critic who's written on the subject - implying that being built by an elect group of people with a plan and goal as opposed to being built by unrelated people with no real plan makes a place any less real. But does it? 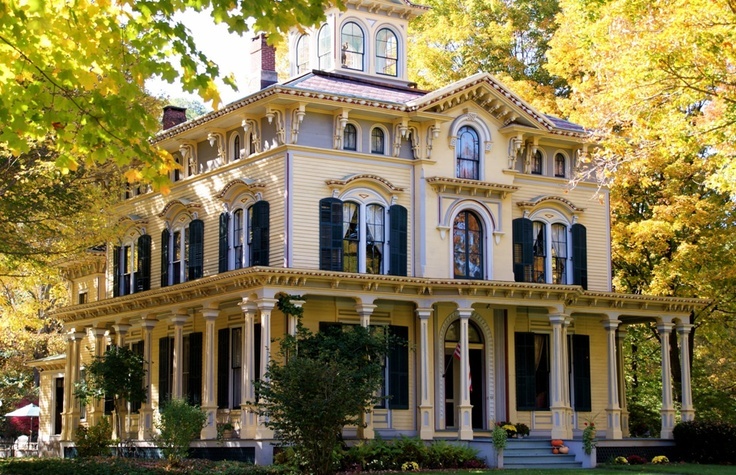 Today, we fawn over this sort of thing as an authentic example of Victorian architecture. In its day, it would have been seen as the most ghastly form of nouveau-riche tastelessness. A ludicrous modern imitation of an Italian villa, what was seen in its own day as a sham and fake has become authentic with the passage of time. Yes, it's a real castle, but it's also a ludicrous fake, constructed by a wasteful king in the Victorian era to evoke romances of the holy grail and the operas of Richard Wagner. 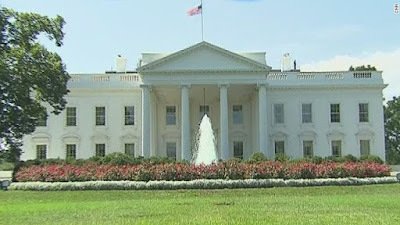 It was built with what then qualified as the most modern of amenities, including heated running water, toilets, an electric bell system, a modern oven, and including such suspect embellishments as reproduction tapestries and an indoor cave. 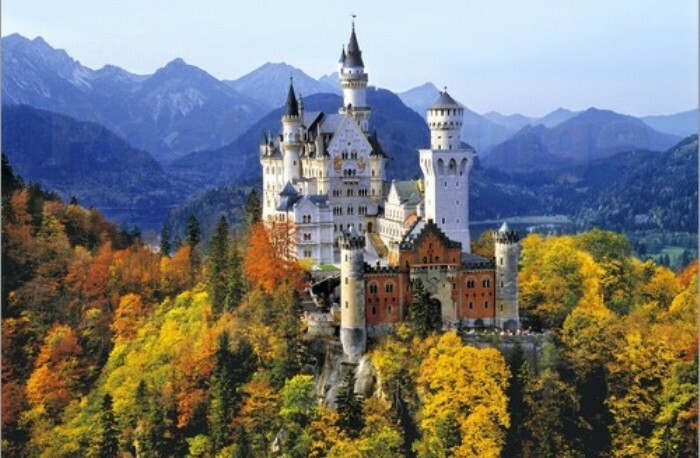 When we think of it this way, the space between Ludwig II's private theme park and Walt Disney's fiberglass castle becomes very narrow. 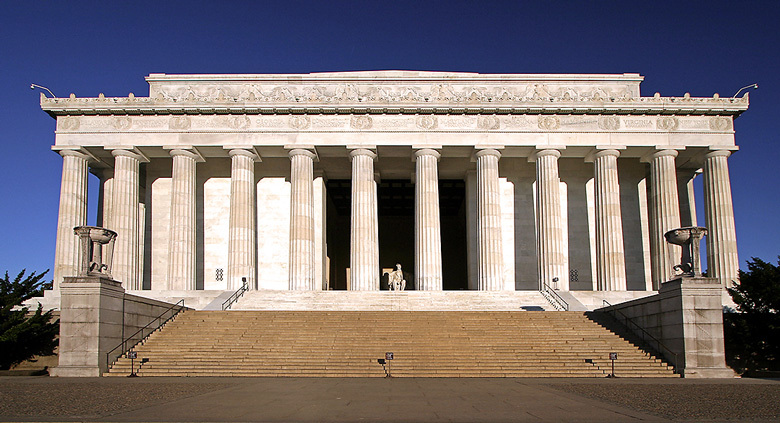 They're both widely viewed and beloved by visitors who care not a lick for "authenticity" because both are designed to evoke powerful symbolic associations in the minds of their visitors. So what makes something authentic? 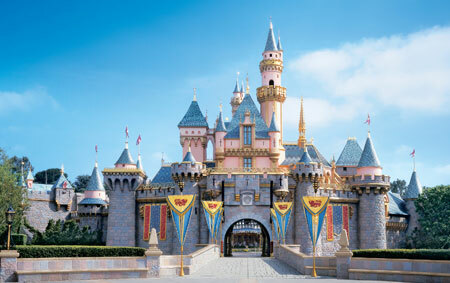 Once enough time passes, will Disney's fiberglass castles be suddenly, magically conferred respectability? Or is it a slipperier thing - is it belief? Does something become "Authentic" because its viewers believe it to be so? Of course the sort of people who are eager to confer upon theme parks and their like - shopping centers, planned communities, restaurants - the label of "Fake" are those who have the most to lose by failing to control such labels: those who need their opinions to carry the weight of authority. Sometimes the label can be extended to "appropriation", i.e. theft of something held to be integral elsewhere. But even trying to establish what's "real" and what's "fake" is often an exercise in futility, as we shall shortly see. I think that's good. 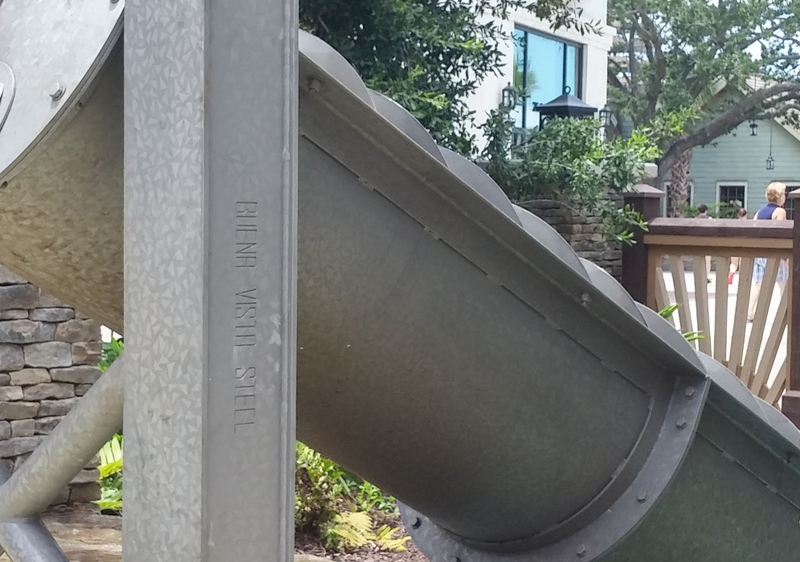 Theme parks may be manufactured according to strict aesthetic guidelines, but to me that's a crucial distinction, because that is what makes them compelling. What one person sees as "fake" can just as easily be labeled "artistic". And in the case of something like Disney Springs, where the distinctions have broken down to an extent that the distinctions become meaningless anyway, there is a fascinating case study. Even if the notion of authenticity is a slippery slope, there is already a built in resistance to confer the blessings of cultural approval on Disney. One way this manifests is a resistance - supported by Disney - to deem the parks objects of historical interest. so far there has been no general acceptance of the idea that a theme park is certainly related and in some ways basically analogous to the traditionally approved manufactured settings - fine dining establishments, museums, theaters, or national parks. 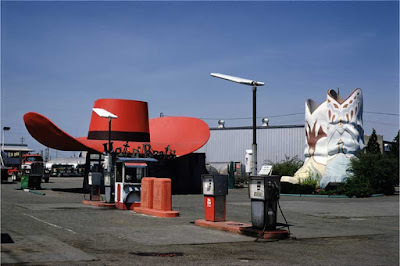 I've thought long and hard on this subject and to me the only workable definition of a "themed" enviroment is one which has been subject to the act of curation - in which certain aspects have been enhanced, or removed, to obtain a specific aesthetic, often symbolic effect. Museums build narratives out of the mess of history; theme parks build narratives out of the harmonization of imaginary spaces. National parks, so often sold as representing an "untouched" area in a specific state of historical preservation, are also subject to the act of curation - by removing or demolishing any aspects of the protected area which would break the illusion of being "unspoiled" (for more on this see Terence Young, Theme Park Landscapes: Antecedents and Variations). And yet, I would argue that ideologically and historically speaking, Disneyland, EPCOT, and Magic Kingdom are as central to the American identity as Yellowstone or the National Mall. If they weren't, then there would be no implied threat in Disney co-opting American history in things like The American Adventure and Disney's America. Through sheer popularity, citizens have conferred importance and historical relevance on Disney theme parks, bypassing the gatekeepers of culture. The minute that we open our minds to the possibility that non-sanctified history is still basically historical, the more the complexities of Disney's manufacture of history become compelling. Disney Springs is a key place to see this at work. Here, real and imagined history weave into a tight web. Let's dip back into our historical narrative of Lake Buena Vista from last week and pick up some threads. By the time Downtown Disney had added its West Side addition, it was a patched-together thing, laid out as three distinct units that made sense on their own but made no sense together. Traffic flow between the three areas was already best described as impractical, and the opening of Pleasure Island to foot traffic only made the situation worse. Something would need to be done, but what? And how could all three distinct areas be tied together cohesively? 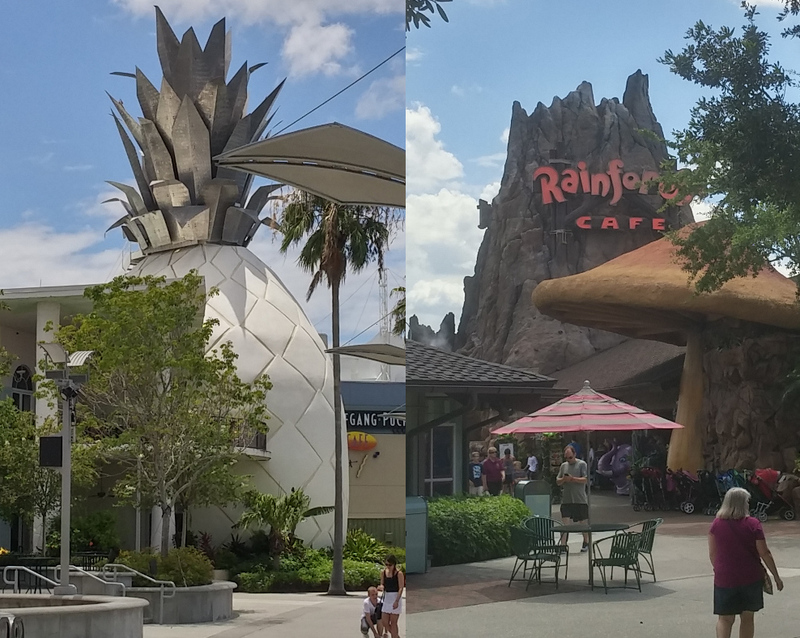 In the past, the solution to improving themed areas which were lacking in appeal came down to two options: re-skinning, or demolition. Tomorrowland 1994 re-skinned the offending area, isolating the problem in its aesthetics. New Fantasyland and Disney California Adventure demolished, preferring to start over in a more traditionally appealing aesthetic mode. 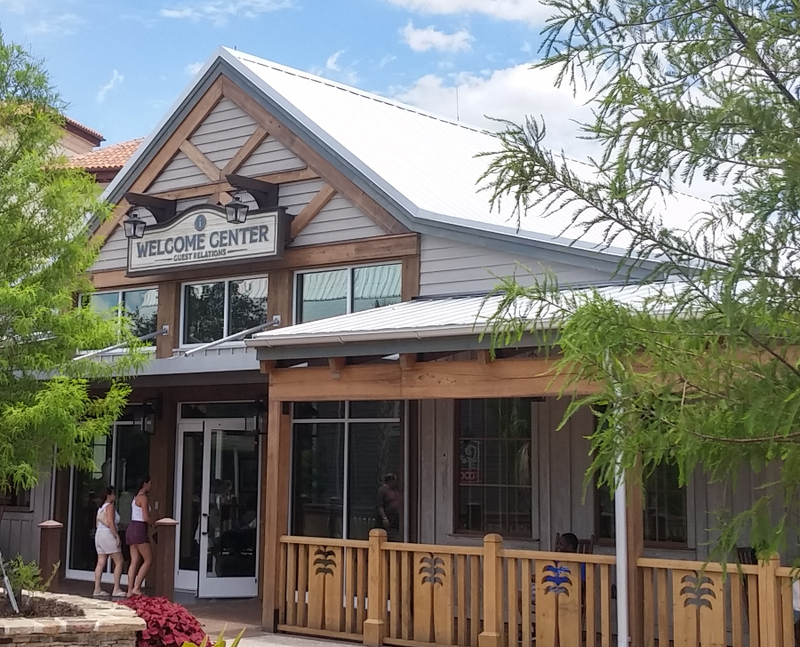 At Disney Springs, the approach was, uniquely, to lean in to the mess of conflicting styles and agendas. Areas which already were aesthetically appealing, such as the Marketplace, only received minor facelifts and foot traffic improvements. Pleasure Island's industrial aesthetic could stay. The largest offenders at West Side could be covered up with industrial details or slated for later demolition. Tying the whole thing together is a new "Downtown" area and central water feature. And here's where the story begins to become almost perverseley convoluted. Lake Buena Vista represents an abandoned attempt at a "Planned Community". The downtown of this planned Community - the Village - was actually constructed. As a result, even before the notion was legitimized by this new expansion, Downtown Disney already represented the problems of real cities - namely, having a well planned downtown with a bunch of suburbs stuck onto it more or less randomly, causing no end of traffic problems and infrastructure strain. This new expansion seeks to resolve the problem by building a new, sleeker, more attractive downtown away from the original urban center. Wait, hold on -- where have we heard this before? Oh, that's right, we've heard it in real life - it's the story of every mall that has ever been built. It even basically looks and sounds like these new "Town Center" outdoor malls which have sprouted like mushrooms in major urban centers. Below is one not far from Disney Springs - "The Grove" at Winter Garden Village. 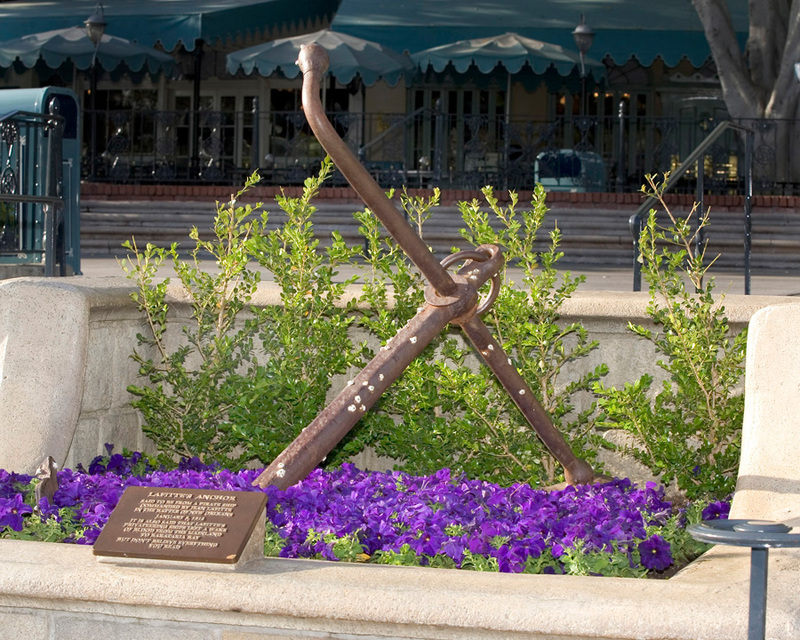 The Grove even contains faux-historical landmarks, a hotel sign above empty space, and signs honoring "local" Winter Garden residents. It is a manufactured downtown, but treated and used as a legitimate one by local shoppers. and what did we say about authenticity up top? 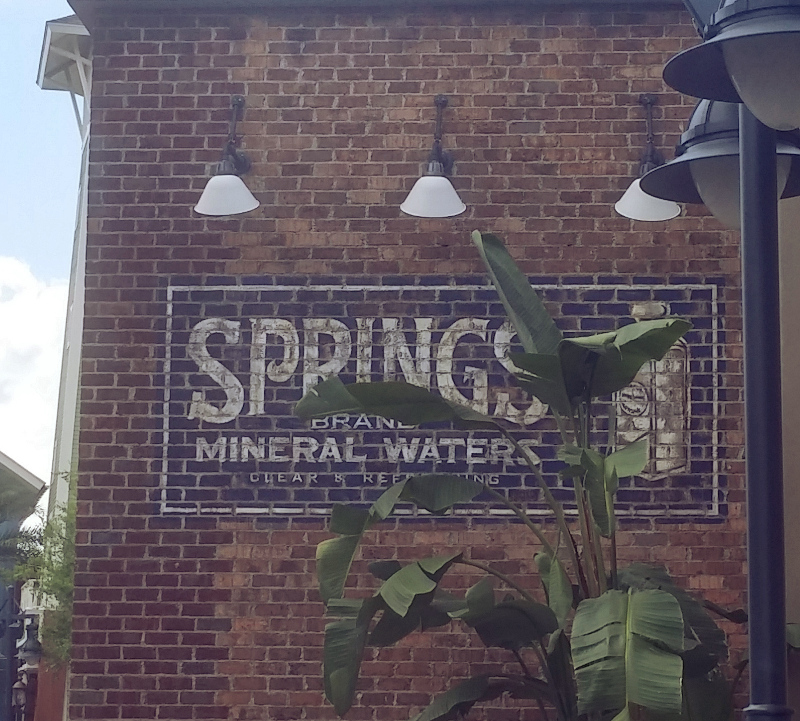 "Inside" the story of Disney Springs, are are supposed to understand that the new Town Center represents the "original" downtown area and the original Village is now a later suburb, yet the mind spins. We've now got a mall built next to a downtown that is pretending to be an yet older downtown - inside a huge mall. 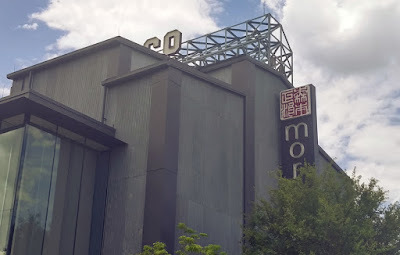 Where Downtown Disney more or less tried to keep pace with whatever the current conception of "cool" is, Disney Springs instead aligns itself with the mode of representation traditionally most successful to Disney - the past. Instead of a murky Florida lake, the area is now centered around a "natural spring" - really a pretty, and pretty elaborate, swimming pool. Surrounding the Spring is brand new - but supposed to be old - Florida vernacular architecture. 35 years ago, this area was a swamp outside the Village. 3 years ago, it was a pile of dirt, yet here now stands "The Oldest Building In Disney Springs." Yet it's just this sort of absurd, working backwards, built up layers of signification that gives Disneyland and Magic Kingdom their great sense of history. And while perhaps there's nothing deeper to the historical approach of Disney Springs than the generational shift towards all things "retro chic", the new style at least will have the benefit of aging gracefully instead of constantly trying to chase whatever is "cool" in this decade. One could easily write off these details as the product of an unimaginative design team dipping into Disney's rich heritage to insert yet more meaningless tributes to past glories. 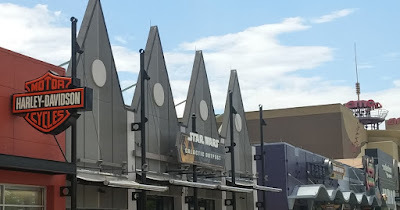 But, in Downtown Disney, probably the number one area in WDW where master planning failed, the authentic history of poor legacy designs becomes disguised as the artificial history of the spreading of a town. 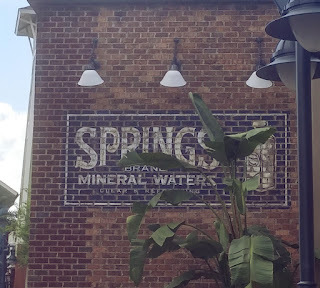 In other words, Disney Springs is the only part of Disney property which has grown to become something of a real life example of the kind of urban space it was designed to evoke. Real life cities do have huge traffic problems, real life cities are putting up parking decks to service their downtowns, real life cities are trying to attract popular and prestigious companies to fill their new malls. At what point does Disney Springs cross a line into fiction? At what point do real life cities more and more resemble Disneyland? If people believe that the fiberglass castle is real, does it become real? 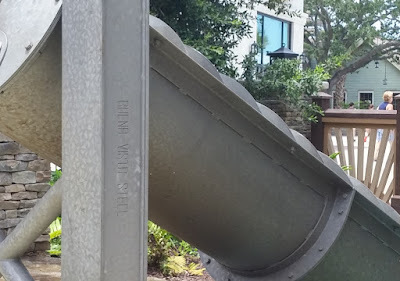 In this sense, Disney Springs opens up a feedback loop akin to the ironic mutation of history seen on Buena Vista Street at California Adventure. There, shops and facilities named after old school Disney characters are said to have inspired a young Walt Disney to create... those same old school Disney characters. It's become an absurd IP game of musical chairs where history and fantasy have melded seamlessly into a mobius strip of influence. But as far as I know Disney has never quite created an idea that requires this many layers of fiction piled up on each other, and if the result is aesthetically underwhelming, it's conceptually dizzying. It's like taking everything one step further and claiming the Walt Disney actually grew up on Main Street USA and built the rest of Disneyland around it. Both versions of the area are fiction, but there's a crucial distinction left unsaid. Then again it's only worth fussing over conceptual distinctions like that if people are actually legitimately fooled, and I have little concern about that happening. Still, the resulting product, with its intermeshed history, fantasy, fact and fiction is truly evocative and conceptually bizarre. Going in another direction, let's return to the Town Center. Around the Town Center are a number of buildings designed to resemble converted houses. There's a few Cracker houses, an old ranch house (D-Luxe Burger), a Googie house (Blaze Pizza), and what is said to be some kind of ice house (Sprinkles) (the owners, presumably, having long ago fled to the suburbs). But most of the Town Center is built to recall Spanish Revival architecture - tilework, whitewashed stucco, wrought iron, and red tile roofs. Any seasoned Orlandoite will recognize immediately what this is an imitation of: Rollins College in Winter Park. Okay, so let's talk about Winter Park. 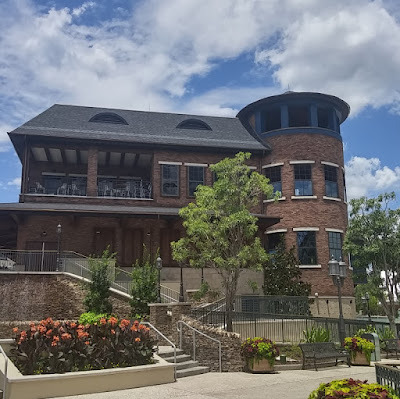 Winter Park, a suburb north of Orlando, has become for many the cultural center of Orlando, with brick lined streets, high end dining, winding canals, and the famous and expensive Park Avenue. Despite all of this, it is in some ways a fake city. 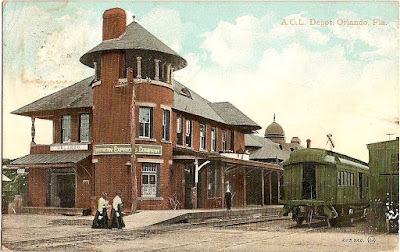 Winter Park was begun as a suburban development in 1885 to take advantage of one of Florida's many land rushes and a new rail line. 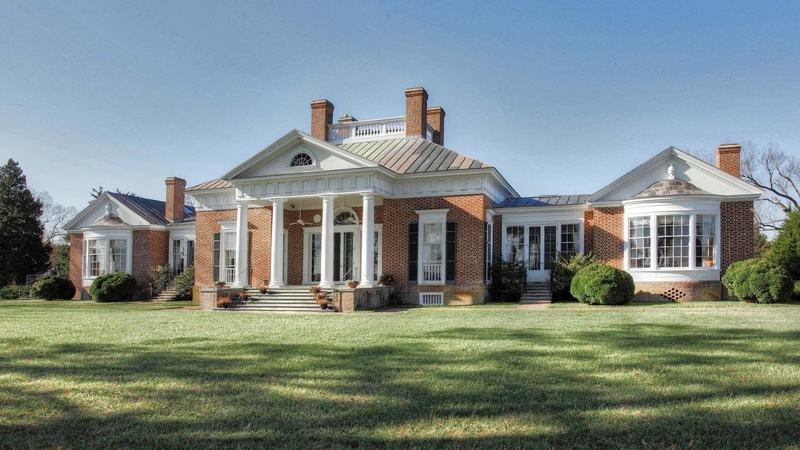 With strict limits on housing style, varieties, roads, and walking paths, it was one of America's earliest planned communities. It was Celebration 110 years ahead of schedule. So yes, Rollins College may be old - 1885 - but its beautiful architecture is not authentic old Spanish. Strictly speaking, it's artificial. 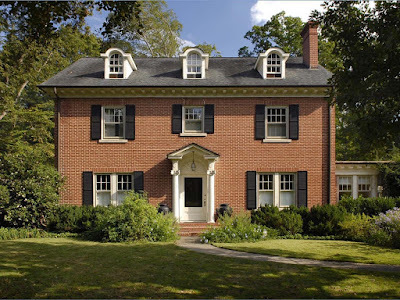 Of course, in architecture circles, they have a word for this - Spanish Revival, which sits neatly alongside Gothic Revival, Italiante, Renaisance Revival, Queen Anne, Second Empire, Romanesque, and other styles of American architecture built to resemble something they are not. But it's just as correct to say that Rollins College was built themed to Spanish Florida, with its conquistadors, fountains of youth, and romantic tilework. The fact is that maybe the most distinctive single thing about American architecture is that we have always and forever loved building themed to other things. 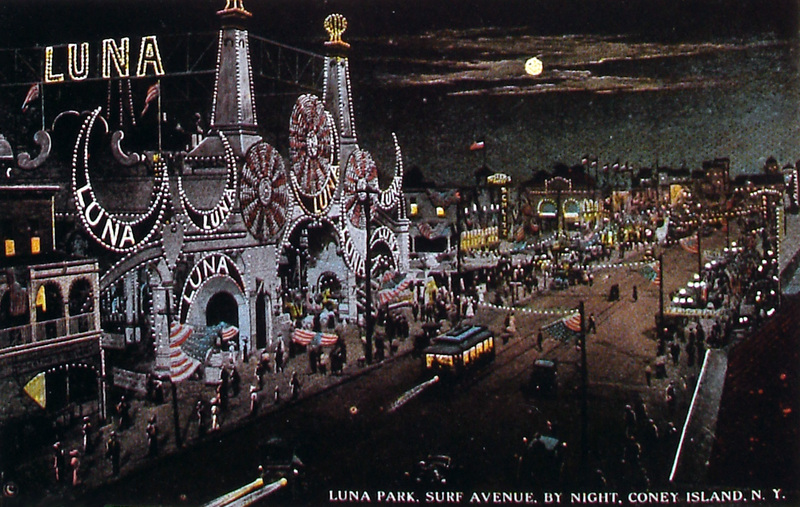 That's why we were the country that created Coney Island and Disneyland. These places weren't some kind of perversion of a pure cultural legacy, but simply the logical outgrowth of what we've always done. 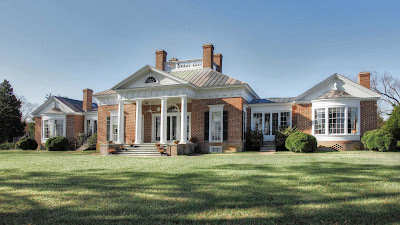 Those cool little pavilions around the front doors, the white columns, the emphasis on symmetry, the mullioned gables, and half-rounded fan lights? We didn't invent that - we stole it from the ancient Greeks and Romans, and stuck it onto our little saltbox houses in the nationalist frenzy of the post-Revolutionary War. 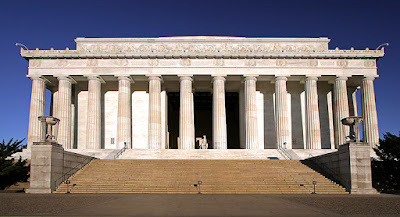 The borrowing from ancient Greece was no accident - they were a famous Democracy, just like America. ...the distinction between Main Street USA and real Victorian architecture begins to look like nothing but a blip. Less time passed between the era depicted on Main Street and the opening of Disneyland than passed between the construction of Rollins and the new Town Center. 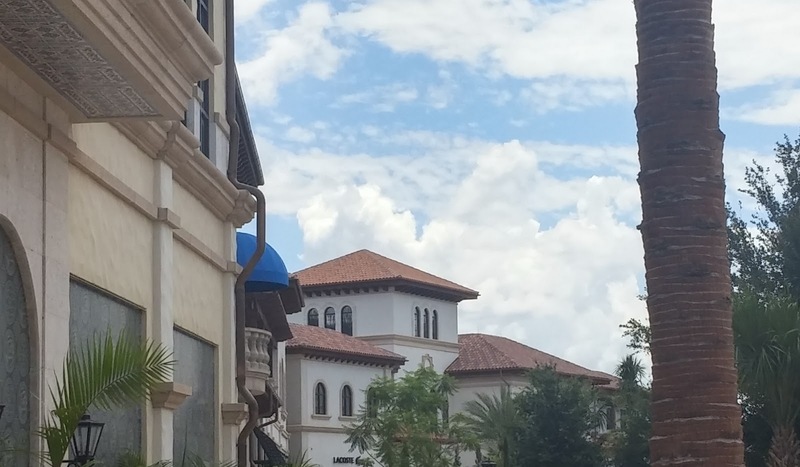 The Town Center, for those who only know Florida from Walt Disney World, may not scream "old Florida", but it's as legitimate a copy of the original fake as the fake itself was legitimate. Town Center is a mall that pretends to be the original downtown of an artificial community, built beside the real downtown of an abandoned planned community, built to resemble a successful planned community just a few miles away. Or, we could talk about Pleasure Island. "Inside" the story of Pleasure Island, it was a manufacturing center for the Pleasure family in the first part of the 20th century, which was wiped out by a hurricane (the same one which destroyed Typhoon Lagoon, in a likely coincidence). The island was re-claimed by Disney and renovated into a nightclub district, all of this to flatter Michael Eisner and his love of 80's style "Urban Reuse". As far as I know, Pleasure Island was the very first time Disney built structures in which their signifying facades were intentionally at odds with their contents. Even the monumental abstraction of something like Future World's The Land was intended to signify what could be found inside; haunted houses contained haunted houses, pirate forts contained pirate rides. Pleasure Island asked you to separate form and content in a way that nothing else at Walt Disney World does. Mannequins was a purpose-built facility housing a nightclub, disguised as a reclaimed tin shed-style industrial manufacturing building. 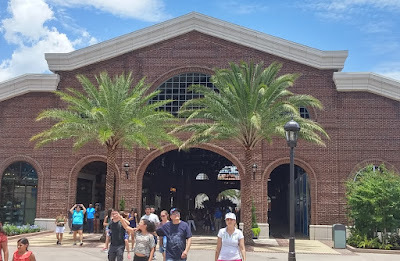 Today, "Inside" the story of Disney Springs, it's a reclaimed bottling plant which just so happens to contain Morimoto Asia, a high end pan-Asian restaurant. In this way, the building now housing Morimoto Asia even more strongly resembles its obvious inspiration: The Cannery Restaurant in Newport Beach, CA, which revolutionized restaurant design in the 80s by reclaiming a disused cannery and leaving its industrial equipment in place around the dining rooms as pieces of sculpture. Yet this invented history paints over the real history of the building - as a nightclub called Mannequins, one of the few Pleasure Island nightclubs to run from opening to closing day. Nearby, Jock Lindsay's claims to be a converted airplane hangar from the 1940s, and it's tough to tell them apart, despite Jock Lindsay being new construction. It's pretty tough to recognize most of Pleasure Island, honestly, unless one is very up on her Pleasure Island history. Nearly everything there was knocked down and rebuilt, leaving only minor traces behind. For about ten years, seemingly everything Disney built was rooted in some kind of meta history of abandonment and reuse - to Pleasure Island we may add Blizzard Beach, Typhoon Lagoon, parts of Animal Kingdom, and much of California Adventure. Inside the parks, at least, much of this didn't jibe well with Disney's audience and so has been stripped out, especially at California Adventure. Imagineers didn't have to look at old photos to get that idea, because that structure still stands today, on Church Street in Orlando. That's right, it's Church Street Station, and through the 70s and 80s it was a nuisance to Disney management as the entrance to a famous pay-one-price, gated nightclub attraction. To compete with Church Street Station, Disney built....... Pleasure Island, the current location of this reproduction. History doesn't simply repeat; it devours itself whole. Good luck not getting lost in all that. This is why Disney Springs seems to collapse in on itself conceptually, forever pulling to some center point where fantasy and fact collide, like the house at the end of Poltergeist. There are so many layers of real, but obscured, and invented, but promoted history floating through that place that it's impossible to keep track of. What I do know is that there are things in Disney Springs, Lake Buena Vista, and Downtown Disney that are beautifully present simply for their own sake - in the end, the only reason that matters. 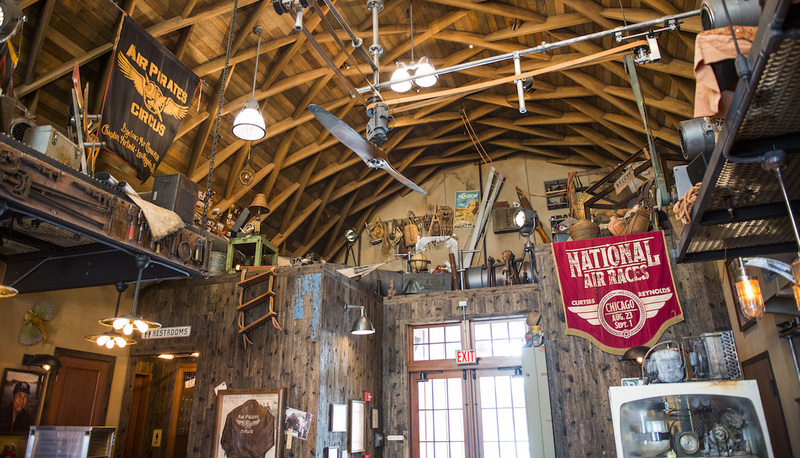 There's the way the afternoon Florida light filters in through the artfully arranged clutter in Jock Lindsay's Hangar Bar, who for some reason knew Indiana Jones, but whose bar feels authentically old in that moment in a way you usually have to go to Key West to enjoy. There's the Empress Lilly, impressive for her own sake, who is shortly getting her smokestacks and paddle wheel back, a real bit of history being returned to us. There's even an honesty in D-Luxe Burger, that brand spanking new old ranch house, in that it quietly and casually reminds Disney guests that once upon a time a long time before a certain theme park was built there wasn't much to Central Florida besides cattle pasture. It may be fake, and not look very much like the real thing, but there's a honesty in the spring inside Disney Springs too. It's the first time in the 50 year history of Walt Disney World that Disney has seemed to say to its visitors: "Hey, you know, there's stuff in Florida, too, and it's good enough for us to build a fake version here for you.". It's the first time that Disney's home state has been warranting of the sort of representation extended to, say, Canada. And there's the catch, and why the theme seems to maddeningly fold in on itself, bigger on the inside than the outside. It isn't themed to some other place, but to right here. Disney's mess of a planned community in Florida has embraced its identity as... a mess of a planned community, in Florida. It's Floridian, and maybe part of being Floridian means being an an elaborate fake, like Charlie Kane's Xanadu deep in the tropical jungle of the imagination. Imagined, fantasized, pre-planned, corporate, artificial, deeply weird - that's Florida, and it's true inside Disney's bubble... and true outside it, too. "Jock Lindsay's Hangar Bar, who for some reason knew Indiana Jones,"
Because Jock Lindsay's the pilot from the opening scene of Raiders of the Lost Ark. A character that gets less than a minute of screentime is somehow important enough to dedicate a bar to. I am always in awe of your brilliant writing and ability to keep me coming back for more. As a Disney Freak, your site is my Mecca! I look forward to visiting Disney Springs early next year. All of the previous incarnations of that area have failed to impress me, but I never got to see the very early Village. "It's the first time in the 50 year history of Walt Disney World that Disney has seemed to say to its visitors: "Hey, you know, there's stuff in Florida, too, and it's good enough for us to build a fake version here for you."" One could make the argument that PotC beat Disney Springs to the punch on this. An excellent article! 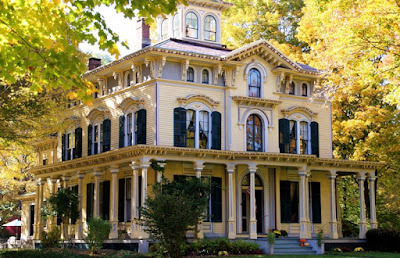 The subject of authenticity and themed environment always interests me, including the Victorian penchant for romantic, revivalist architecture. This post was a joy to read and digest. 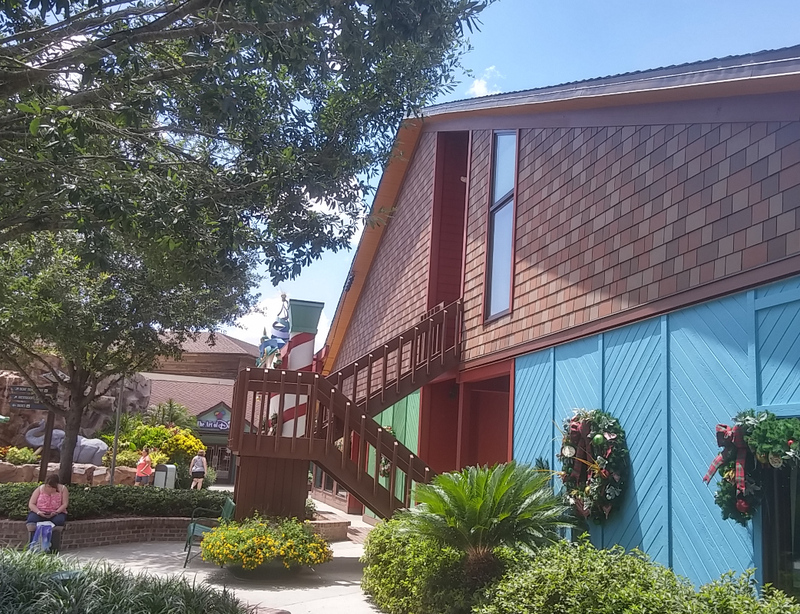 I can't help but imagine that the topic of Florida vernacular architecture manifest within and without WDW would be fun to explore. To the untrained eye, I think the most egregious example of the artifice you mention is the faux "High Line" on the West Side. In cities across the US, we're beginning to see elevated rail lines converted to pedestrian uses. I don't know whether Imagineers ever intended for pedestrian travel on the West Side High Line, but there is something almost backwards about manufacturing an inaccessible, disused elevated railroad spur meant to resemble a disused elevated railroad that is now quite famous for being rendered accessible-- why stop short? Because Downtown Disney is quite obviously not a "true" Downtown, and is Disney in name only. If the new DTD is meant to be a tribute to a past Orlando, then maybe we can settle for a beautiful, romanticized tribute. And if DTD is to be - like the rest of WDW - a really stunning, well-done fake, then the visitors don't seem to mind. After all, how many WDW guests live in massive, architecturally-confused suburban houses with a brick facades facing the street and vinyl siding on the other three sides? "For about ten years, seemingly everything Disney built was rooted in some kind of meta history of abandonment and reuse"
This to me ties in to the problem I read (maybe from you, maybe elsewhere) about the Imagineers becoming slaves to Eisner's emphasis on "Story". You have to have a story, and slam that story down the audience's throat with a sledgehammer. Eventually, they started to run out of stories, so repeats came along. How many "Stories" are just "X got lost or is missing, help us find him?" variations. Stitch's Escape. The Pirate re-theme of Tom Sawyer Island. The Jack Sparrow storyline for PotC. The original baby elephant theme of the Safari. Even the "missing family" of the Tower of Terror. The worst offender is Donald and the birds in Mexico. I love them, I respect them, but the whole point of not only Epcot as educational, but the 2 birds as teachers to Donald in the original films 70 years ago, was completely lost by the "Where's Donald". It wasn't a successful story infusion: it is a distraction that blinds the audience to the beauty the attraction was trying to present. The end result is that those who attend it have no better view of Mexico or Mexican culture than they did before, and that so easily supports into the current anti-Mexican political climate of one of the major political parties today. So here, too, I see a lack of imagination, just variations on a single theme: this building was that, now it is this, and isn't that great? Are there no other stories to tell? Are there no ways that different stories can be told side-by-side and not contradict each other or a coherent theme? Or are there actually fewer really REALLY good storytellers and character creators than we'd like to admit? The Muppets are wonderful things, but ever since Jerry Juhl passed away, one can easily see what they've done since as an impersonation of what Juhl wrote, not an extension of it. So, they actually went ahead and built Disney's Floridian Adventure, upon the ruins of Disney's Floridian adventures. And we didn't notice because they didn't try to pawn it off as a 5th gate. THIS! "It's become an absurd IP game of musical chairs where history and fantasy have melded seamlessly into a mobius strip of influence." And yet, I'm okay with it somehow. "The worst offender is Donald and the birds in Mexico. I love them, I respect them, but the whole point of not only Epcot as educational, but the 2 birds as teachers to Donald in the original films 70 years ago, was completely lost by the "Where's Donald". It wasn't a successful story infusion: it is a distraction that blinds the audience to the beauty the attraction was trying to present. The end result is that those who attend it have no better view of Mexico or Mexican culture than they did before, and that so easily supports into the current anti-Mexican political climate of one of the major political parties today." Hopefully there's a post to be had about the current Disney company's attitude regarding The Three Caballeros, about the history of the film, Walt's intentions in making it and its impact then and now, and putting it all in the context of the current (unfortunate) wave of nativist prejudice and the studio's blitheness towards it overall (Cartoon Research has already covered the regrettable 1977 re-release hack job). As of 2016, it is not yet on Blu-ray despite the fact that other entries in the canon are already on their second release, though in addition to its presence at EPCOT it had a float in a Disneyland parade as late as 2013, and though I've always been quite fond of it (and it was even used in Spanish class when I was in elementary school), it often seems looked at as a minor entry in the Disney animated canon by some. This is a fantastic piece of writing! I'm new to your blog but I'm just loving it! As an architecture geek, and a disney geek, and a writer myself, I am simply smitten with the content here! I feel like I should pay you or something. 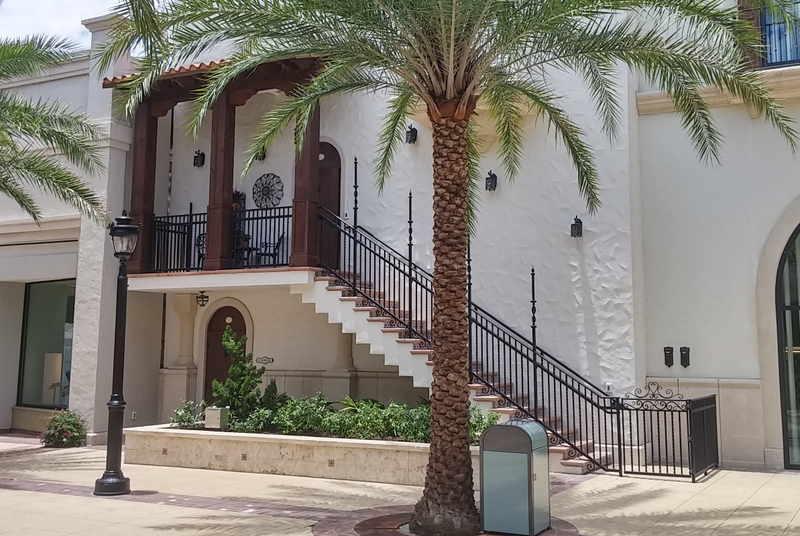 Mediterranean revival architecture is most likely what you mean when you say "Spanish revival" - in Florida, it's been the architectural style that Disney Springs' new town center is directly inspired and based on. 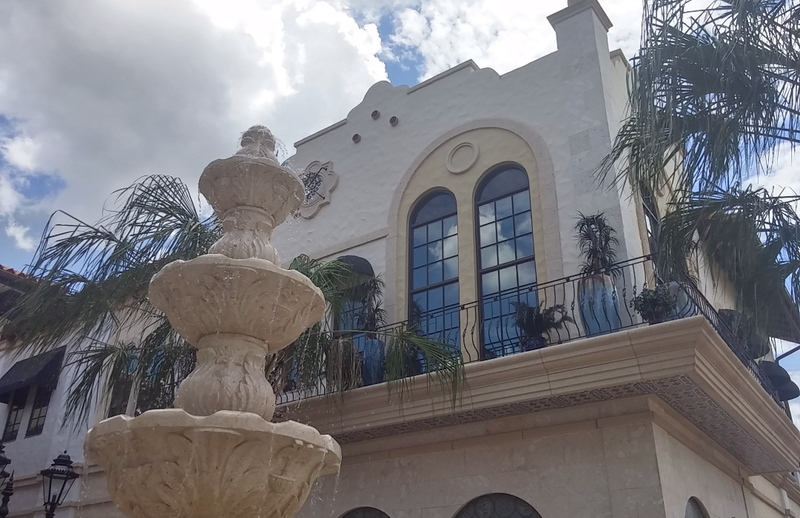 And it's the omnipresent style that is seen across the state in McMansions old and new, from Winter Park to Naples to Ponte Vedra Beach to South Tampa, et al. More so than Rollins College, the architectural styling at DS are basically carbon copies of Palm Beach's Worth Avenue, Addison Mizner structures in PB and Boca Raton, and even the lobby ceiling of Coral Gables' Biltmore Hotel - which are easily and directly evident to anyone who has already seen these originals, just as you pointed out Church Street Station being the direct descendant of the new building in the PI area. 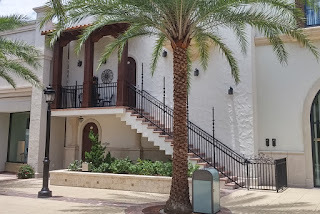 The problem with MR architecture being presented as a "Floridian" style is that it is simply not, and many architects will point out its inflexibility and impracticality in Florida's weather and humidity. Historically, MR has become ingrained in Floridian architecture because of Mizner's designs beginning in the roaring 20's (which themselves were inspired by architecture in California), but it is at least nice that DS touches on the REAL old Florida, with Cracker-style buildings. Though it's easy to point out that Disney jumped from the Cracker and MR eras straight to the modern, leaving out the wonderful styles in between, such as midcentury modern (the "Sarasota School of Architecture" being the state's most-famed example) or tropical art deco (a la Miami Beach). Your points of Disney Springs' architectural evolution being oddly reciprocal are so interesting though. While one can certainly appreciate its beauty, its process has indeed been interestingly hypocritical of their original intent. The question of "what is authentic?" is spreading as the despised Found Courts are reborn as Food Halls.